Than Any Other Mechanism Ever. How much is a growing stream of sales worth to you? Sales which don't need hard work to close? Sales prospects who need your product or service right now? Sales with zero marketing effort or cost? I have worked with thousands of business owners since 1984. Some were successful. They all used this same direct marketing approach. Most were struggling. Either they weren't marketing at all or they used mass advertising. To succeed you need prospects to buy what you sell. But not all prospects are the same. Most start out as strangers. They don't yet know you. They don't yet know what you sell. They don't yet know if you can solve their problem. They don't yet trust you . Each of these approaches costs a chunk of cash. Yet we're never certain how well they work. Each environment keeps changing. Each needs expensive specialists. That means finding each prospect is expensive. Each is a tough sale. Most do not buy. That makes your cost of sale much higher than you want. And the sales are uncertain. This is the approach most struggling businesses follow. Successful firms do one thing different. Successful entrepreneurs stay in touch with their prospects. Each new prospect they convert into a client remains a prospect for another sale. And each new prospect they do not convert also remains a prospect for another sale. The longer the firm keeps in touch with a prospect the easier it is to make that next sale. A prospect is not disposable after use. This is even more true if you sell a complex or expensive product (or service). Staying in touch lets you share stories about the problems they face. You write about the problems in exquisite detail. You write more about the problems than the answers your firm sells. The more such stories you share, the more the recipient trusts in your expertise. And the more likely a recipient is to buy from you next time. Email marketing can be complex if you are a pure online play, selling one product at a low margin. But if you're an offline business then email marketing is simple beyond belief. What to write? Drafting that first email. The subject, the content, the style, ...? What engine to use? Delivering that first effort? Which of the more than 100 superb email delivery apps to choose? Each of the above is a bigger hurdle than it seems at first. Each demands answers to lots of questions. That's why most of us never get started. This course strips out those hurdles. Your first marketing emails will be converting prospects into clients within the next 3 days. Either you're blown away or you get your money back. No questions asked. Relationships are always more important than money. Thanks again, Peter, for an excellent lecture. We get so involved in the detail, the small steps get neglected. This has been a life-changing course for me. Suddenly I can actually see the pathway through the forest!! If you're not blown away by what you learn and how we present it we want to refund you in full. 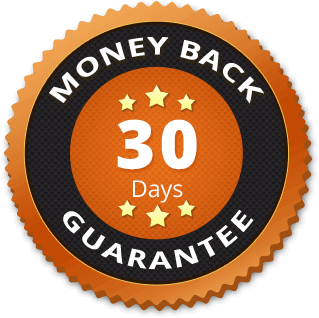 Contact us in the first 30 days and we will give you a full refund. No questions asked. The new Protection of Personal Information Act (aka POPI) aims to make it extremely difficult to start any direct marketing effort. The easiest way to circumvent this restriction is to start now, before the POPI Act goes live. That assures your marketing future and leaves all your competitors struggling to start. The easiest way to start now is to invest in this course and then invest a few hours of your time building the expertise you need to build a constant list of warm prospects. There is no risk. If you are not blown away by the learning and the results, I want to refund your investment.